The city of Jaipur is the capital city of the princely state of Rajasthan, India. The flourish of the Mewari Dynasty is centred on this part of the country but the city of Jaipur was made famous only after the ascension of the Maharajas of Jaipur. 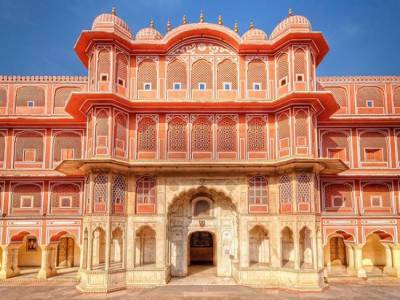 The city of Jaipur is however famous as the Pink City because king of the province once painted the city pink for welcoming a certain foreign guest. The Jaipur City has numerous fortresses, royal residences and landmarks however among them the most prestigious is the City Palace of Jaipur, which is in all actuality a royal residence complex with numerous greenery enclosures, lakes, passages, labyrinths, castles, vaults and others. 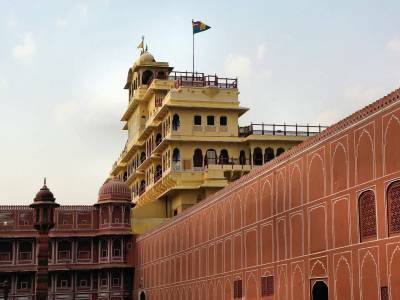 The royal palace has been established around 1729 to 1732 and was established under the rule of Kachwaha Rajput Clan King Maharaja Sawai Jai Singh II who was the ruler of Amber at the time. Through the span of time till date the descendents of Kachwaha have revamped the royal residence gradually are the proprietor and overseer of the royal residence. The architecture of the City Palace is a credit that goes to three men. For initial design the accolades goes to Sawai Jai Singh II himself and for the urban restructuring in the 20th century CE the credit goes to Sir Samuel Swinton Jacob and Vidydhar Bhattacharya. The majestic City Palace constitutes of many gardens, corridors, palaces and temples but among them the most significant are the Mubarak Mahal and the Chandra Mahal. The Mubarak Mahal was the reception centre of the king made in Mughal & European style and the Chandra Mahal is the mesmerising king's residential and governance centres made in Indo fusion Rajasthan style of architecture. The huge royal residence is a combination of sensitive and inconspicuous; works of rock and marble carvings, silver and trim works, wall paintings, scriptures and numerous others to amaze tourists. The prominent places inside the City Palace are Tripolia Gate with 3D peacock statues, Govind Dev Ji Temple, Diwan i Aam, Diwan i Khas and the museum that showcase the world’s largest pair of silver jars. 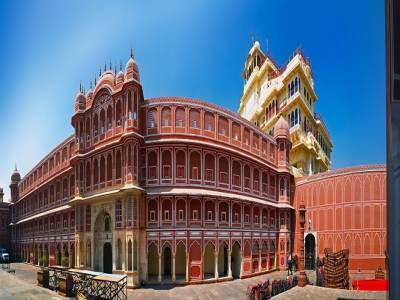 A visit to the City Palace of Jaipur is a must for recollecting the history and grandeur of Rajasthan. 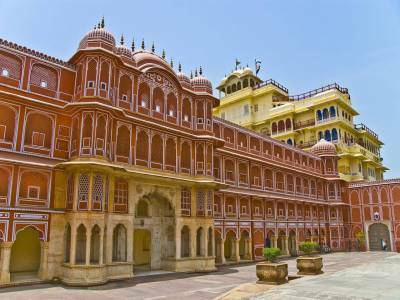 Get quick answers from travelers who visit to City Palace, Jaipur.